The Baltic countries have a fascinating history extending back many centuries, through the period of Russian occupation up to their more recent independence and incorporation into the European Union. Memorable experiences await you in their mix of charming cities, traditional villages and uniquely beautiful countryside. Flight from Canada to Vilnius. We begin our day with a tour of Vilnius, focusing on the Old Town which includes the Gothic gem of St. Anna’s Church, Church of Sts. Peter and Paul, the Cathedral, University, Gates of Dawn and also the ruins of the Upper and Lower Castle. The Old Town of Vilnius, a UNESCO World Heritage Site, is a maze of richly historic narrow streets. The Cathedral in the center of the Old Town sat within the fortifications of the castle, on the site of an ancient pagan temple to Perkunas. In the afternoon we have tour to Trakai Castle. Formerly the capital of Lithuania, Trakai is dramatically situated on an island in the middle of a lake. The 114th-century red brick castle, now home to the Art Museum, is iconic of Lithuania and one of the most impressive and picturesque locations in Europe. This morning we head to Kaunas for a city tour. Lying on the confluence of the rivers Nemunas and Neris, Kaunas is the second largest city in Lithuania with a population of 430,000. As it was spared in World War II, Kaunas is host to a number of ancient monuments. The Old Town is a concentration of the most important: the 13th century Castle, the Old Town Hall nicknamed the “White Swan”, the Basilica, the Church of St. Francis Xavier, the Jesuit monastery, Perkunas House and Vytautas Church. 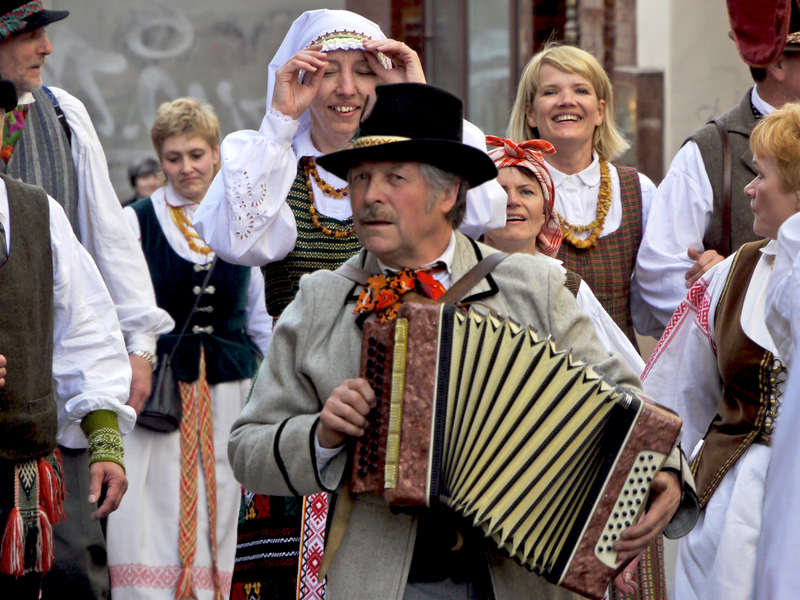 We’ll orient ourselves in Klaipeda, Lithuania’s main seaport, with a city tour. Dubbed the “Gateway to The Sea”, Klaipeda’s highlights include the Old Post Office, Old Theatre, Simon Dach square and its historical Old Town full of boutiques of handicrafts. Taking the ferry to Neringa then, we’ll head to Nida to explore the National Park of the Curonian Spit. A unique landscape, the Spit is bordered by the Baltic Sea on the West and the Curonian Bay on the East and famed for its pristine sand dunes. 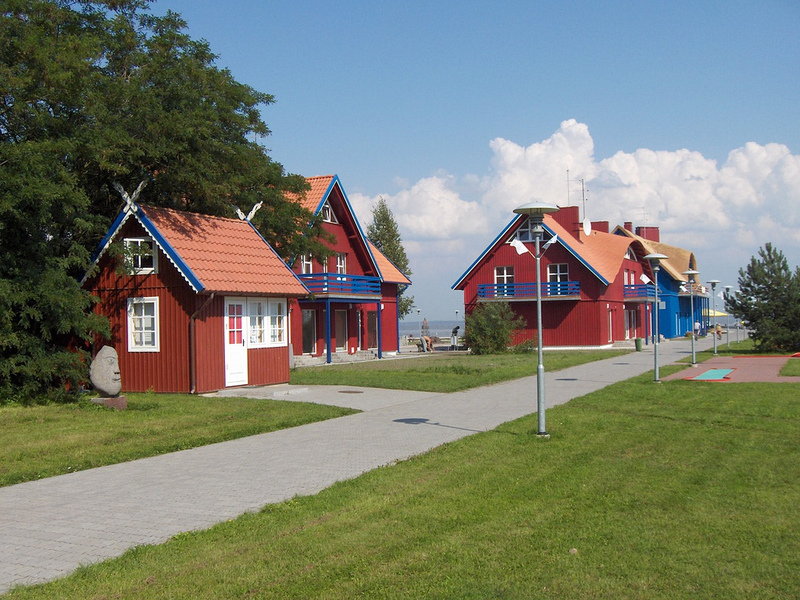 We’ll also visit the scenic fisherman’s village of Nida, and Thomas Mann House there. Our first stop today is at Siaulai’s amazing Hill of Crosses, Kryži ų Kalnas, a prime pilgrimage site and testament to Lithuanian national identity. Hundreds of thousands of crosses crowd this small hill 12 km north of the small industrial city of Siauliai (pronounced Shoo-lay). We continue to Rundale Palace, the most magnificent Baroque jewel in the Baltic States. We’ll spend the day in Riga, capital of Latvia. A medieval Hanseatic town, Riga displays Europe’s greatest concentration of Jugendstil (Art Nouveau) buildings. The style dominated European architecture in the late 19th and early 20th centuries, and an architectural historian will highlight details of the finest city facades. We'll see St. Peter’s Cathedral from whose steeple the best views in the city are enjoyed, Riga Castle with its three wonderful museums, Dome Cathedral, with one of the world’s largest pipe organs, and the Old Guild Houses. This afternoon we have a tour of the Open Air Museum just outside Riga on the banks of lovely Lake Jugla. Started in 1924, it is one of the oldest open-air museums in Europe and contains 107 buildings. Old houses, furnishings and household articles from all regions of Latvia have been collected in its 100 ha grounds, including an inn, mill and several churches, and an exhibition of traditional applied arts. We start today’s sightseeing in the historical center of Turaida, which comprises a museum of art & archaeological artifacts dating back to the 11th century. These include the walled castle and earthworks, an ancient graveyard for the first baptized Liivs, and one of the oldest wooden churches in the region. The Tomb of Rose of Turaida rests here under the oldest linden tree, a romantic site for newlyweds to leave offerings, honouring the legendary devotion of the maiden who forfeited her life sooner than her love. About 50 km from Riga in the Gauja River valley is Sigulda, known as the “Latvian Switzerland” for its popularity as a picturesque leisure destination famous for its winter sports resorts. Melt back into the Middle Ages of heroes and romantic legends as we visit the ruins of the 13th-century Crusader Castle and 19th century Kropotkin’s Palace. We’ll drive along the scenic river valley and walk to the sandstone grottoes by the ancient river bank. After Sigulda, we’ll continue on to Cesis and take part in a city tour. Built in the 13th century, Cesis castle was the seat of the Livonian Order and one of its greatest strongholds, providing us with the most impressive and best-preserved ruins in Latvia. Castle Park was established in 1812 and landscaped in romantic style, complete with an island in an artificial pond. A series of sculptures was later added and today it is a popular place for leisure activities. Today we’ll make a stop at Valmiera en route to Tartu. High above the banks of the Gauja River lays Valmiera, a city rich in history and culture with a lively nightlife & cultural scene. Once a part of the ancient Latvian kingdom of Talava, it prospered under various Orders and became a member of the Hanseatic League before being decimated by bubonic plague in the 1620s. The prosperity regained under Swedish rule continued until the city was destroyed by Russian troops in 1702. 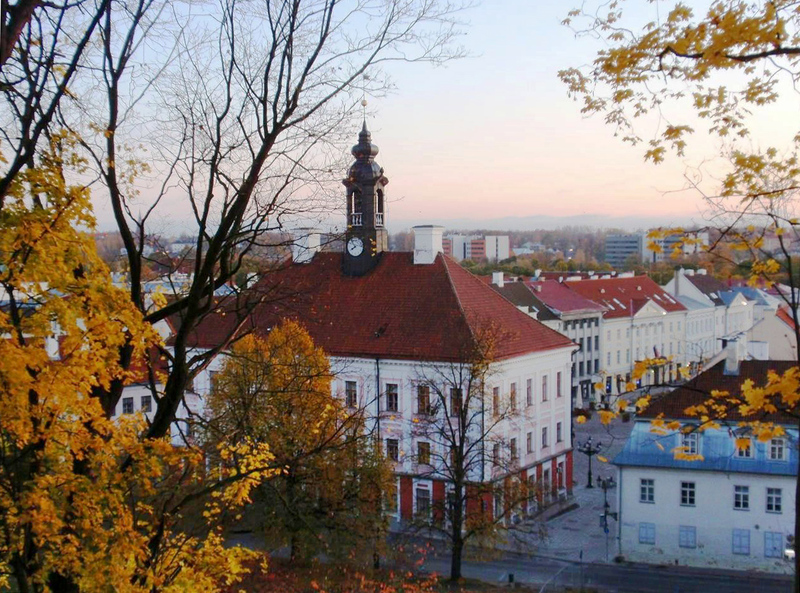 Then we’ll proceed to Tartu, the “Athens on the Emajõgi” and second largest city in Estonia. The Neoclassical style in which central Tartu was reconstructed in the 18th century, combined with an ancient university founded in 1632 inspires this comparison. Situated in the South, it lies 186 km from Tallinn on the banks of the river which connects the two largest lakes of Estonia. During our walking tour we’ll encounter Tartu University, the Museum of Classical Arts and Antiquities, Tähetorni Observatory and Jaani Church, Old Town, Toome Hill and the ruins of the old Dome Church. We head this morning to Saaremaa island via the ferry to Muhu island from Virtsu. Estonia’s largest island, Saaremaa has retained its historic character and popularity as a locale for enjoying recreation and unspoiled nature through isolation. 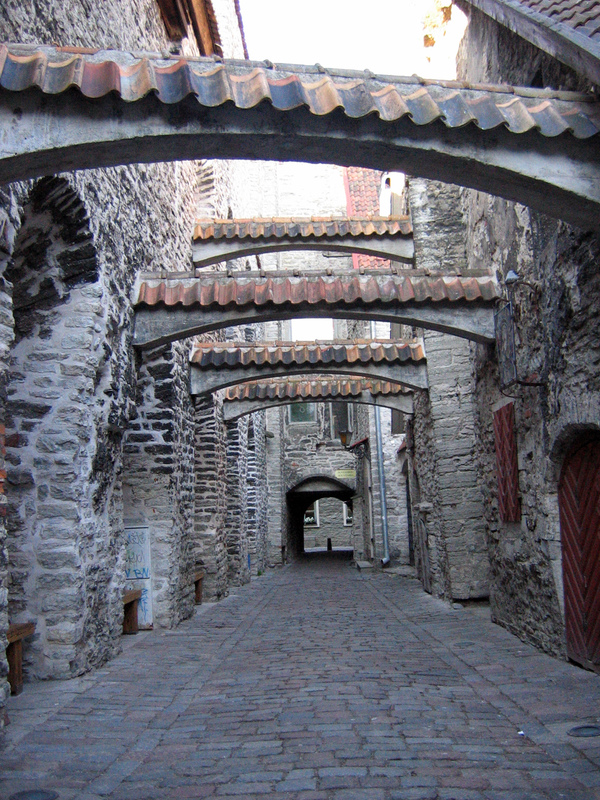 The archaeological record shows this region, now one of Estonia’s most popular tourist destinations has been inhabited for at least 5,000 years. The unique Dolomite formations, windmills and junipers are symbolic of Saaremaa, a world apart where beautiful national costumes and local dialects are still in use, villages are populated with stone fences and thatched roofs, and they’re famous for their handcrafted beer. The small town of Kuressaare first made its way onto maps in the mid-12th century, and it received its official charter in 1563. Though centred originally on the castle, the architecturally protected and restored current town centre dates from the 17th century. Kuressaare's most outstanding attractions are the 13th century castle fortifications and surrounding 19th century park. The picturesque triangular squares of the old town centre are surrounded with one and two-storey Classical buildings, with the 17th century Baroque Town Hall and Scales House from the Swedish era on the Central Square. The dramatic heights of Panga cliff on the north coast of Saaremaa were a site of sacrifice for pre-Christian Saarlanders. Stories of animal sacrifices, not to mention the obligatory virgin abound, and well into the 1930s offerings of beer were poured to ensure good catches and calm seas. We depart via ferry to Tallinn, where we will start with a city tour. 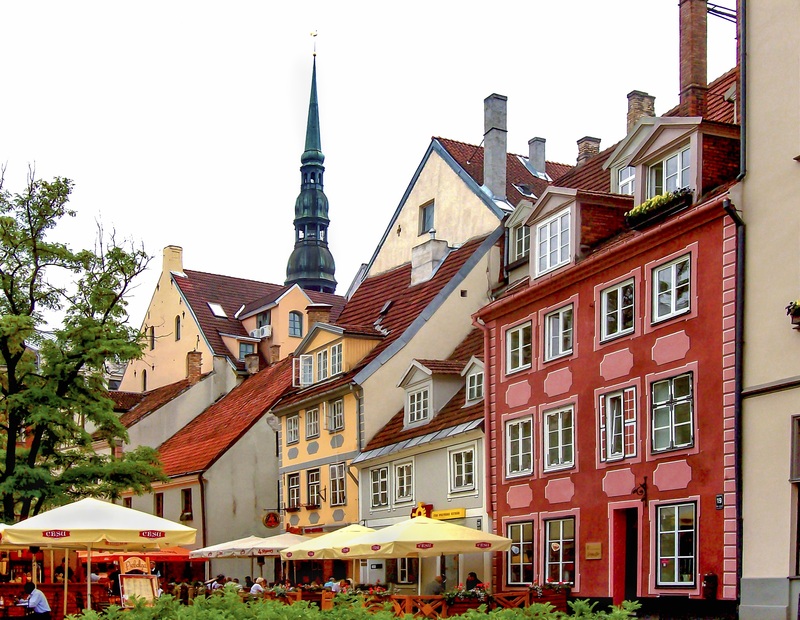 Tallinn is a famously picturesque old city, where whole districts preserve their Middle Age glory. We’ll visit the Old Town with its quaint narrow streets and beautiful Gothic merchants’ houses, Toompea Castle, the 13th century Dome church, the 19th century Russian Orthodox Alexander Nevskij Cathedral, the 15th century Town Hall square, the Old Guild built to celebrate Tallinn’s membership in the Hanseatic League, and St. Olaf’s church. We’ll spend half the day on a visit to Kadriorg Palace and the Kumu Art Museum, leaving time at leisure to explore Tallinn on your own. Kadriorg Palace, constructed as a gift by Peter the Great to his wife Catherine I in the 1720s, is an excellent example of Baroque architecture. The Foreign Art Museum of the Kadriorg Palace showcases art and applied art of Western Europe and Russia from the 16th - 20th centuries. KUMU (KUnstiMUusem /Art Museum) is a spectacular modern multifunctional art facility containing exhibition halls, a lecture hall and an educational centre. Kumu appeals to a variety of people from kids to art aficionados and is foremost a congenial environment in which to develop ideas and examine the role of visual culture in contemporary society. 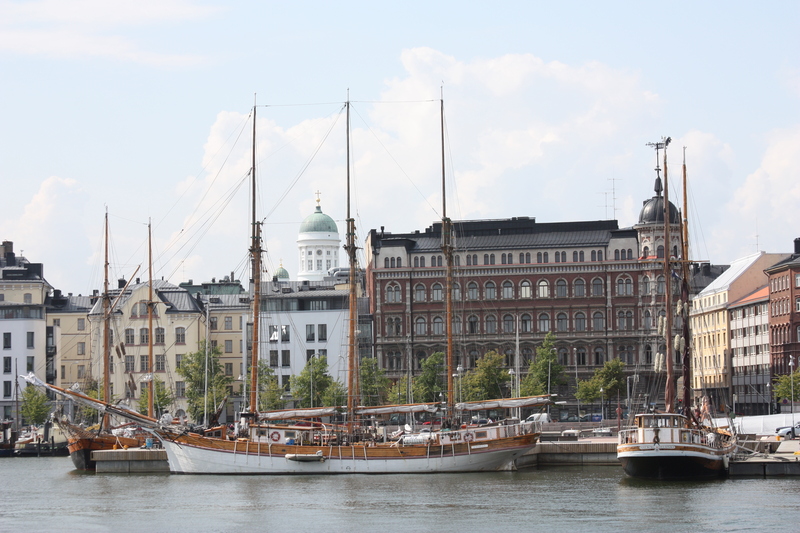 We take a ferry to Helsinki and start with an orientation tour, visiting the historic centre with Senate Square, the Presidential Palace, City Hall, the Parliament building, Finlandia Hall and the Opera House. We’ll also make stops at the Sibelius Monument and, if services permit, at the spectacular Temppeliaukio Church (the Church in the Rock). Designed by Timo and Tuomo Suomalainen and consecrated in 1969, the Church in the Rock was literally carved from solid rock and crowned with a solid copper dome. The inner wall is left rough stone, while the wall surrounding the church is constructed of rock quarried on site. Finlandia Hall is Helsinki’s conference and concert hub and home to the Helsinki Philharmonic Orchestra. The hall was built in 1971 and is one of Alvar Aalto’s most famous works.